CHRISTIANITY AFTER RELIGION: The End of Church and the Birth of a New Spiritual Awakening. By Diana Butler Bass. San Francisco: Harper One, 2012. 294 pages. There have been a number of books and studies that address this issue. Many of these authors believe that we’re either on the verge of a spiritual awakening or we’re in the middle of one. As a historian, I’m cognizant that it’s often difficult to truly gauge something transformative while you’re in the middle of it. We can look back and see signs of change happening in the 16th century or the 18th century and deem these to be times of reformation or awakening. During such moments, old forms give way to new forms, or at least radically changed forms, but are we at such a moment? Only time will tell. Among the persons exploring this moment of transition is my friend Diana Butler Bass. Diana is a trained historian, so she’s also aware of the dangers present in speaking too definitively of what might be transpiring at the present moment, which is why I much prefer her analysis to that of Harvey Cox or Phyllis Tickle, for instance. At the same time, she has been studying the trends and conversing with people who are experiencing this period of change. As a result of these conversations and studies, she has written a series of books that have proven helpful to many, especially those of us in the mainline Protestant tradition, to get our bearings and find new ways of being present in the world spiritually. 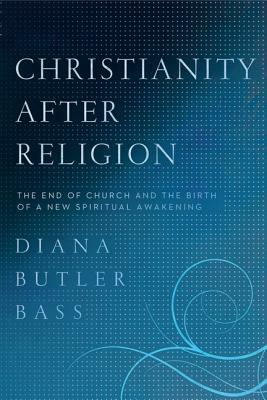 In her most recent book, Christianity After Religion, Diana suggests that we are in the midst of a spiritual awakening in which the movement is away from the conventional institutional and clergy-focused religion toward a more open and expansive spirituality. She writes that “where Christianity is vital, it is not really seen as a “religion” anymore. It is more of a spiritual thing” (p. 7). Attendance at worship services is down significantly, but interest in spiritual things is on the rise. Evangelicals have done well of late, but even they are experiencing some difficulties. In Diana’s estimation we’re experiencing a religious recession and an awakening at the same moment. Making use of the work of William McLoughlin, she notes that endings can also be beginnings. An awakening is not the same thing as a revival. An awakening is a movement of “cultural revitalization that ‘eventuate[s] in basic restructurings of our institutions and redefinitions of our social goals’” (p. 29). In this view, we are experiencing the fourth such awakening in American history, and have been in this mode since about 1960. McLoughlin believed that we would see a move toward more experiential and pluralistic forms of religion – and that seems to be the case. Diana goes into great detail on what awakenings look like and how they will change the world in which we live, especially the increasing loss of legitimacy accorded our institutions. Part I of the book is focused on analyzing our situation. It is followed by a lengthy section entitled A New Vision, in which she focuses on three aspects of religious/spiritual life – believing, behaving, and belonging. In the world of religion, we start with beliefs (doctrines), move to behavior, and then when we believe and behave, we belong. In other words, after you pass the tests, you can be part of the community. In this new period of awakening, we are seeing what she entitles “The Great Reversal.” The starting point isn’t affirmation of doctrinal standards, but belonging to the community. From there we move to behavior, which she defines in terms of practices that we learn in community, and finally, we believe. Belief in this reversal isn’t necessarily affirmation of doctrines, but trusting of one’s life to God. It is a much more relational vision of faith. In previous books Diana has placed great emphasis on spiritual practices, and does so again here. These practices are intentional acts such as prayer, fasting, hospitality, that develop character. In this model of spiritual life, we learn by imitation or apprenticeship, rather than by participating in programs (it’s hard to let go of the idea that programs are the solution). Experiencing God’s presence is the goal, rather than gaining an intellectual understanding of the nature of God. The final section is entitled Awakening, and in it she lays out her vision of the future of Christianity. Composed of two chapters, the first of which is entitled “The Great Awakening,” Diana returns to the matter of a fourth great awakening. In the first chapter she contends that we’re moving from the dogmatic (externally driven) to the romantic (experiential/internally driven). Although there is significant push back against this change of vision, such that conventional religion will continue on for some time, the old forms are losing the battle for the hearts and minds of the people. Diana makes it clear that she is not only attracted to this new vision, she is a practitioner. Having emerged out of traditional evangelical Christianity, she welcomes this new world of spirituality that is both pragmatic and open, an awakening that she believes is the first true global interfaith awakening. In the final chapter – “Performing Awakening” – Diana speaks of the ways in which we too can embrace and join in this time of spiritual change. We too can live into the practices that draw us toward the divine. As the old saying goes, “come on in, the water’s fine!” There might not be a program to adopt, but there are steps to take if we’re going to join in this new awakening. We must prepare, practice, play, and then participate. As we lean the story of faith, that story will, through spiritual practices, form our story. This “Great Global Awakening” that she is describing, and prescribing to a degree, “is a matter of big questions – belonging, behaving, and believing – rightly reordered to enliven the heart and empower people to transform the world” (p. 265). Will we, she asks, embrace this move of the Spirit, or will we resist it? The future of Christianity depends in large part how we answer this question. This is an important book and as with all of Diana’s books, it’s a good read. If you are a pastor of a Mainline Protestant Church, especially one that has a long history, you may also find this book to be a difficult, or better, a frustrating read. Unlike her earlier book Christianity for the Rest of Us , this book is less hopeful about the future of Mainline Protestantism. There is much here that speaks of spiritual experiences, that we as church can embrace and try to bring into our practice, but I found myself wanting more. Perhaps that’s the point – I have to go figure out how the church will exist in this new reality, but I find myself wanting additional help. In conversations with other pastors of churches like mine who have read the book, there is a similar desire for more help. We want a follow up book, one that is not just more hopeful, but will take into account our realities – aging members, facilities, and realities. It’s one thing to start a new congregation, but what about those congregations that have been around for eighty or a hundred years? How do we honor this heritage as we move into a new era? Zwingli destroyed organs at Zurich. Henry VIII plundered the monasteries. They changed the dynamics, but the ripples continue to be felt today. So, how do we take our churches into this world when they have been wrapped up in conventional institutional religion for so long? As I conclude my review of this book, I want to share my own journey with it and with Diana. I have participated in a number of workshops and seminars that Diana has led over the past three years, even as she was writing the book. I have watched the book take shape – I blogged parts of it during her presentation of this material to a Disciples of Christ clergy conference. On each occasion we’ve had a meal together, where we talked about many of things that emerge in this book. I feel like I’m part of this unfolding story, and so I’m not sure how to critique it. I agree with her analysis of the situation, but I’m not as ready to embrace the full “program” of this global awakening. Although I am very active in interfaith work – it is a passion of mine – there may still be too much of the conventional in my own person to jump in with both feet. I am, it would seem, part of that great company of people who have abandoned religion as usual, but find the idea of being “spiritual but not religious” less than enticing. I am, and I expect many others (including Diana) are part of the great company this both religious and spiritual! I invite you to read the book, to engage it, to critique it, and to recognize that whether this is a fourth great awakening or not, we are in a period of immense religious and spiritual change, and Diana is an excellent guide to the territory. In the end, we must decide how to respond. My clergy book group just discussed this last week. I really appreciate your review. I did find it incredibly frustrating, but I was clear that I needed to not blame the messenger. After a rough start I ended up really appreciating the book, and I'm grateful that someone who loves and cares about the mainline church is willing to tell the hard truths. Katherine, I think your experience, like mine, is pretty common among clergy. We find the book both enlightening and frustrating both at the same time. So, in the end you're not sure what to do with the book-- but also wanting some follow up! Bob, The feelings raised in your review are the EXACT feelings I have as I look at what's going on in the mainline (and other religious traditions) today. Frustration is actually part of the journey to the future; naming it, inviting Christians into it, and wrestling with it is actually part of my intention. To transform our traditions, we have to shake people out of the complacency that has gripped us for far too long. I've given you a gift of shaking things up--of holy discomfort and holy call to action. What do you do with it? You get to decide and act. It is up to you. But I promise: I'll be there with you. On the front lines, pointing the way, offering whatever feeble wisdom and insight I have. We make the future together. And thank you, Katherine, for your comments. Truth-telling is one of the markers on our path to renewal. There's way too much denial going on. And rest easy--my publisher wants me to push these themes more fully in a next book. So, I'm staying with you all. Not having read the book, but echoing what the review seems to say about the impact of religious pluralism, it may be that the truth lies in our evolving appreciation of the Christian religion we are beginning to embrace the notion that each human being hears God in their own dialect, whether it be emotional/cultural/intellectual. 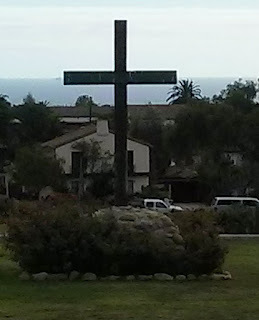 As we become more aware of the sacredness and the spirituality of those around us, whom we previously were cut off from (and thus felt free to discount and ignore), our notions of God and faith are forced to integrate "the other" in a fashion which honors their connectedness to God and God's connectedness to them. The key for the future of mainline denominations for me is to keep sending out the message that Christianity is more heterogeneous (and more generous) than its more conservative elements would lead one to believe. John, thanks for the response -- I think that Diana also has an important message for more progressive denominations -- don't get stuck preserving the denominational machine! Nice review, Bob. SBNR is an acronym that's starting to become recognized! This is a book for laypeople (like me) as much as it is for paid pastoral staff! Frankly, for those OUTSIDE the institutional church - yet those who remain followers of Jesus in their daily lives, this book is BEYOND the three B's referenced in the book and in Bob's review...it is a manifesto on the hope of BECOMING. I LOVED IT - one of my top three for 2012 - at this juncture anyway...GREAT review Bob! Don't despair --- BECOME! I love this book and have found it to be a helpful resource for giving to friends and relatives who grapple with the issues presented. The Future Of Faith gave us a broader scope of the history of Christendom which is a tremendous help. This book focuses specifically on the recent past which most readers, at least in some way are still in touch with. It is encouraging knowing that there is concern among our spiritual leaders, and hopeful because there are so many who desire to follow the true teachings of the historical Jesus within or without a religious tradition. I feel so grateful to be living during this transitory time as hard as it can be. Sincere thanks to all of you on this journey.